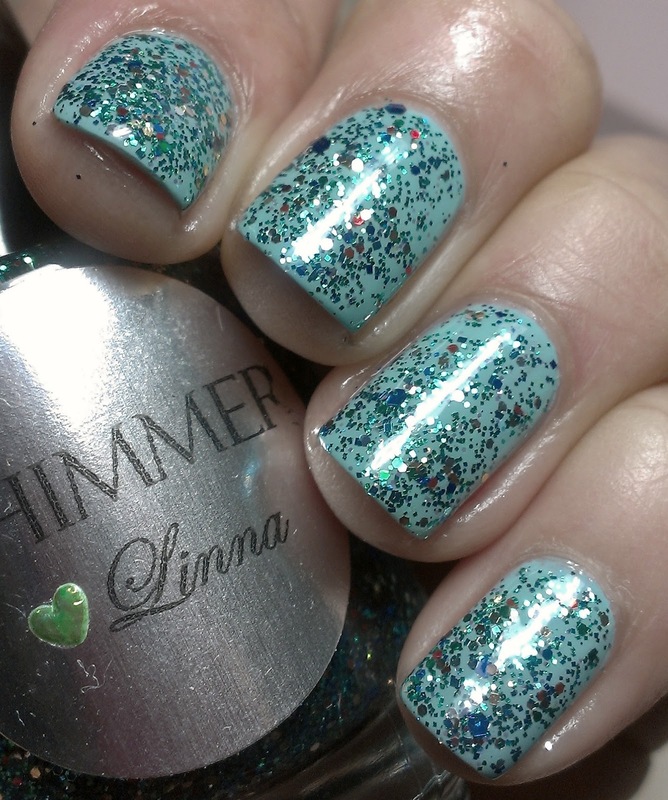 Today I have Shimmer Linna to share with you guys, this one is a great teal/green combination with mixes of red, gold and some larger blue hex glitter. 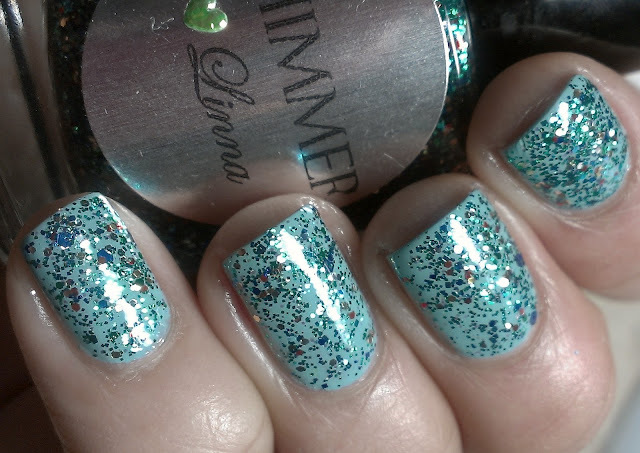 Just like the other Shimmer polishes shown here and here, this one has that special sparkle. Simply gorgeous and amazing formula. Hope you guys are enjoying your weekend. 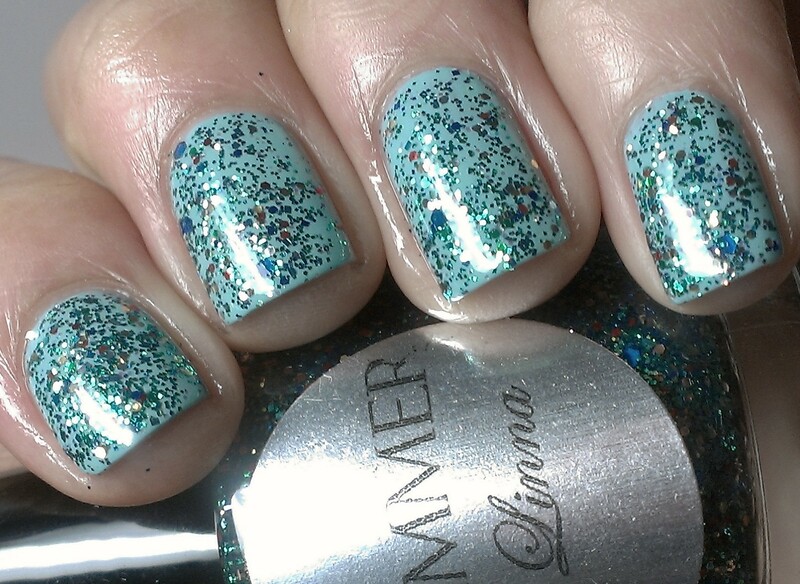 Lovely glitter and I love it over For Audrey! Gorgeous! Can't wait to try mine! Just beautiful! 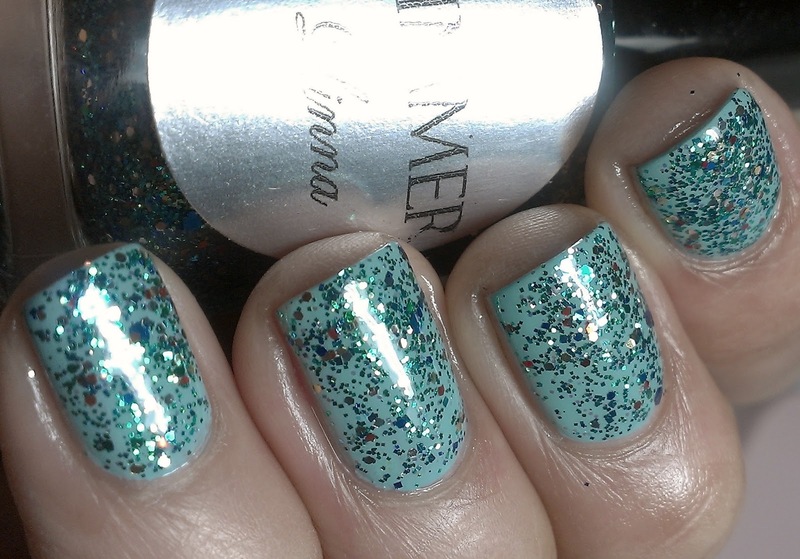 Can't go wrong with a good teal glitter! I love Shimmer polishes - & you paired this perfectly! Think I want that for Audrey base color. That's pretty!